TGIF! 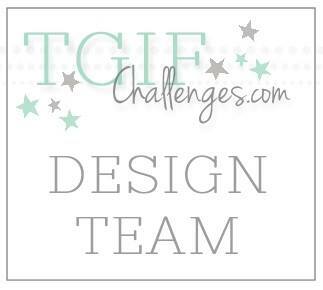 I am finally able to play along with this week's TGIF Challenge. This week's challenge is an inspiration challenge. Since I didn't bring a ton of stamping supplies with me to Utah, I had to get creative. 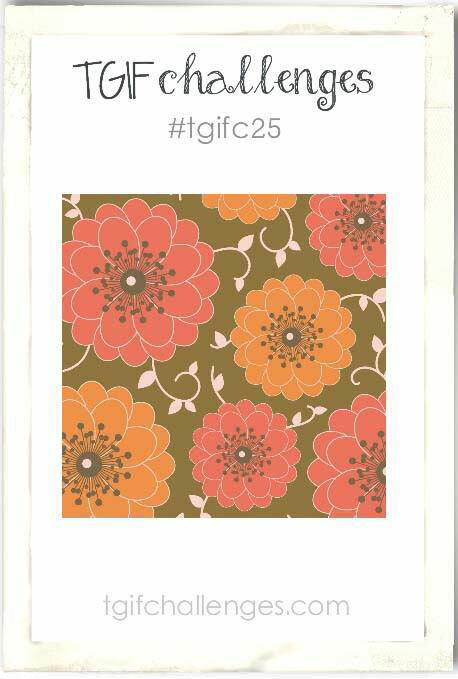 From the inspiration image I pulled the colors Tip Top Taupe, Watermelon Wonder, and Pumpkin Pie. 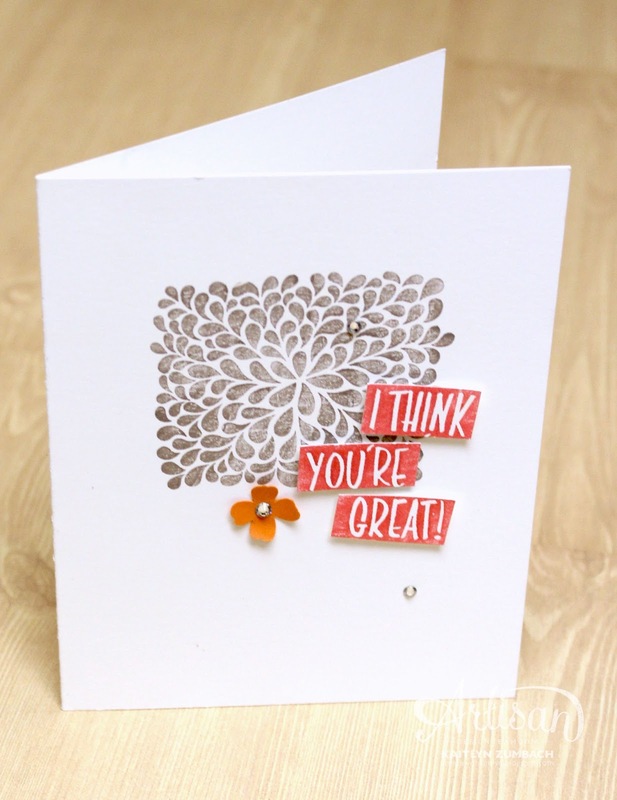 The best stamp that I had to go with the floral inspiration was that background stamp from I Think You're Great. I wanted to use the sentiment in different way than just punching it out, so I stamped it on some scrap paper and cut it out each line with my Paper Snips. A little flower with the Itty Bitty Accents Punch and some Rhinestones and I was done! I think this card is a great interpretation of the inspiration challenge! Now hop on over to TGIF Challenges and join the fun! 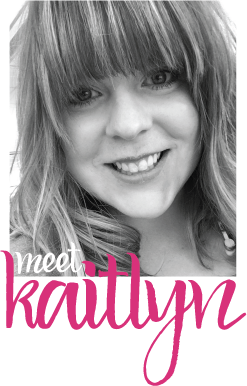 Stunning card Kaitlyn! I love that you used the background image to ground the other elements of your card. Brilliant!